To create a user-centered interface for a mobile device. 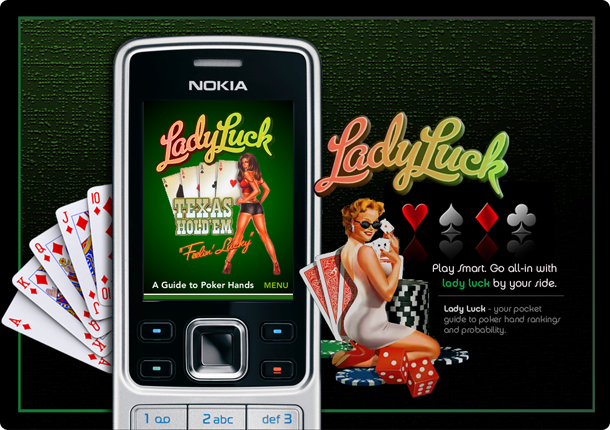 This an interface design for a mobile device screen – 240x320px. 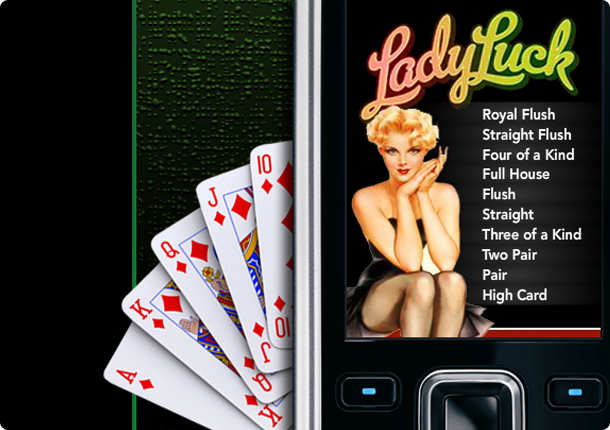 It is a design for a mobile application guide for poker beginners. 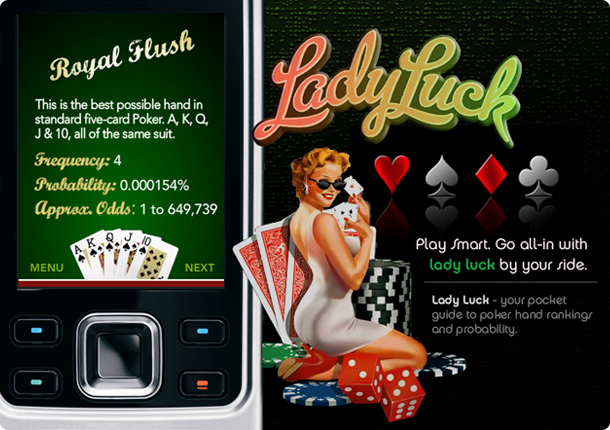 It explains the order and description of poker hands, odds and probability.